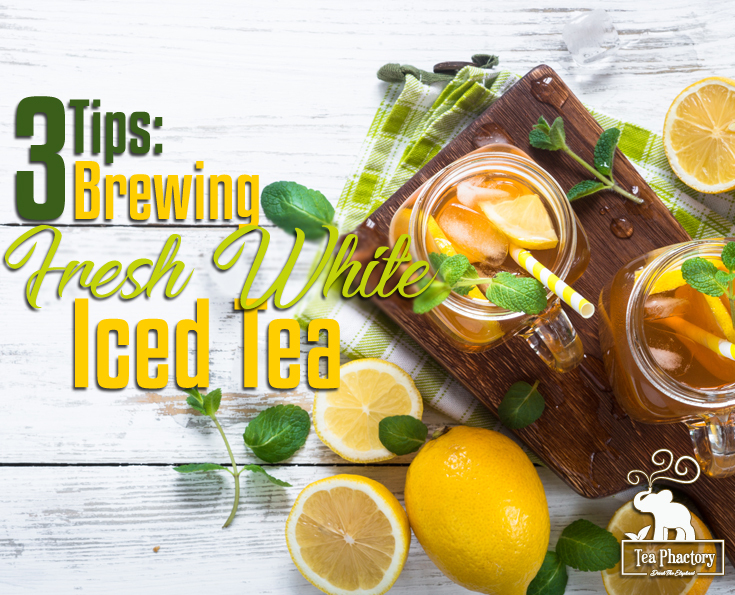 White teas are a great place to start if you’re new to drinking tea. They have a light fruity flavor with a floral aroma, and they’re sweeter than other teas. White teas are delicate, so water, temperature, and time are important. Water: Use the best fresh water possible when brewing white tea, since their flavor is so light. Chlorine and other chemicals in tap water can affect the taste of the tea. Bottled water may also affect the flavor because of added salts and other minerals. Filtered water or spring water are the best choices. Brewing Temperature: White teas need a lower brewing temperature because the leaves scorch easily. A temperature between 175-185° is about right. Special equipment isn’t necessary to get your water to the right temperature. The simplest way is to bring water just to a boil (about 206°F), turn off the heat and let the water cool for 2 to 3 minutes. An instant-read thermometer is a helpful tool to make sure you have the correct temperature. Brewing Time: White teas require a short brewing time, usually only 1-5minutes, depending on your personal taste preference. As with all teas, the strength of the tea depends on the amount of leaf used, not the length of the brewing time. Over steeped tea will become bitter. Use a timer and adjust the amount of leaf if you prefer a stronger tea.